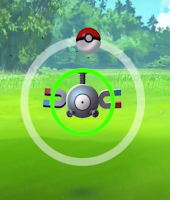 An Evolution Shard is a component required for Evolving Pokemon in Pokemon Go. Each individual Pokemon species has a certain number of Evolution Shards required before an Evolution can take place. Evolution Shards are specific to the species of Pokemon that is captured. For example, if a Bulbasaur is captured, a player will receive a single Bulbasaur Evolution Shard. That Shard will fill the Bulbasaur's Evolution Crystal by one, and will not count towards the Shard count any other species of Pokemon. Where Can I Get Evolution Shards? Evolution Shards can be obtained by capturing Wild Pokemon. Shards will be credited to a player's account when a Pokemon is captured. Even if a Pokemon is released, the Evolution Shard will still be retained. Why are Evolution Shards so Important? 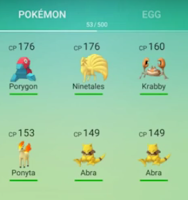 Evolution Shards are needed to Evolve Pokemon. Pokemon gain a significant increase in CP when evolved into a more powerful form. Second and third stage Pokemon can be found in the Wild, but evolved Pokemon are stronger than Wild Pokemon of the same species. Also, Trainer XP is awarded when a Pokemon is evolved. When can I use Evolution Shards? 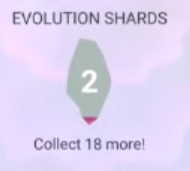 When the required number of Evolution Shards is collected for a particular species of Pokemon, the Evolution Crystal will be completely filled. Once the Crystal is filled, only one Pokemon of that species can be chosen to Evolve. Once the Evolution has taken place, the Crystal will revert back to its initial shard requirement count. How Can I Use Evolution Shards? By accessing your (captured) Pokemon profiles through the Main Menu, the Evolution Shard counter can be viewed for each Pokemon. It will show the number of Evolution Shards acquired and remaining amount still needed to be collected. 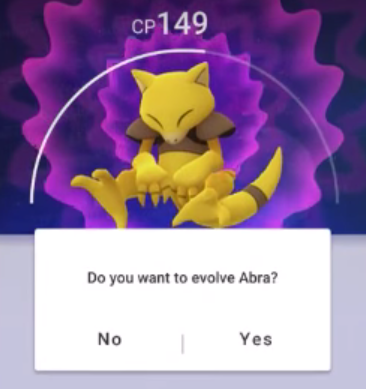 Once the Crystal is filled it will turn red and the option "Do you want to evolve ____?" will be available. Simply click yes to proceed and watch the evolution take place! Any suggestions or ideas regarding Evolution Shards? Feel free to leave a comment below!